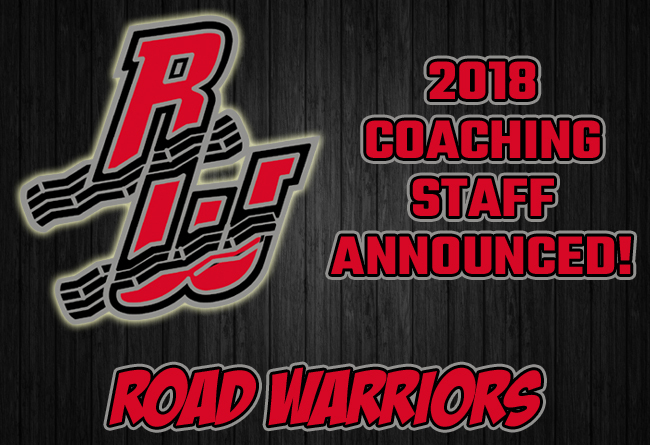 (Lancaster, Pa., Feb. 7, 2018) – The Atlantic League of Professional Baseball Clubs today announced the 2018 coaching staff for the Road Warriors baseball club. Ellie Rodriguez has been selected as the club’s field manager, while Rafael Montalvo will serve as pitching coach. Rodriguez spent 15 years in the role of Player Development Consultant for the Atlantic League from its inception in 1998 through the 2012 season. Among his various responsibilities, he was in charge of scouting players in Latin American countries to come play in the league. He also has previous managerial experience in Mexico with Cafeteros de Cordoba and Petroleros de Minatitlan as well as in Puerto Rico with Vaqueros de Bayamon. Prior to joining the ALPB, the Puerto Rico native enjoyed a professional baseball career that spanned 18 seasons, including nine in Major League Baseball. He combined to play in 775 games with the New York Yankees, Kansas City Royals, Milwaukee Brewers, California Angels and Los Angeles Dodgers, accumulating a career .245 batting average, 16 home runs, 203 RBI, 220 runs and 332 walks. He was also selected as an American League All-Star in 1969 with the Royals and in 1972 with the Brewers. Rodriguez was a defensive stalwart, with a .989 fielding percentage while throwing out 41% of potential base stealers during his time in the big leagues. Among his many career highlights, Rodriguez caught Nolan Ryan’s fourth no-hitter on June 1, 1975 while with the Angels against the Baltimore Orioles. Montalvo joins the Road Warriors after serving as the pitching coach for the Sugar Land Skeeters in 2017. He guided Sugar Land’s pitching staff to a league-best 3.85 ERA along with the second-lowest opponents’ batting average in the league (.264). He also served on the team’s coaching staff during its 2016 Atlantic League Championship season. Prior to Montalvo’s time with Sugar Land, the Puerto Rico native was the pitching coach for the Road Warriors in 2011. He has served in various coaching roles since 2000, both in affiliated and international professional leagues. The 53-year-old played 13 seasons of professional baseball, reaching the Major Leagues with the Houston Astros in 1986. Montalvo spent his final season with the Atlantic City Surf of the ALPB in 1999, compiling a 10-8 record with a 3.89 ERA. 2018 will mark the Road Warriors’ seventh season of play in the Atlantic League. Previous installments of the franchise include the Pennsylvania Road Warriors (2002-04) and the Road Warriors (2006-07, 2011). The league-operated club plays each of its 126 games on the road and will begin the 2018 season on Friday, April 27 against the Somerset Patriots in Bridgewater, N.J.